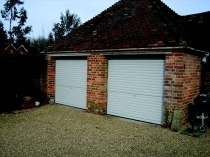 These doors are a significant upgrade from the up & over range, bringing with them a host of benefits including; vertical opening (allowing you to park right up to your garage door), insulated curtain, weather resistant seal, space saving design and the flexibility to work with any shape of garage door opening – whether square, angled, with segmental or full centred arch, a roll-up door will always give a perfect fit. In addition to all of this you get a fully automatic and remote controlled door with safety features built in as standard - a manual version is also available. There are a wide range of colours available as standard and at no extra cost, affording you more personalisation on a budget. 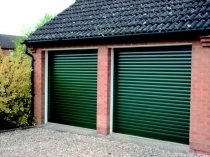 Although there are many types of roll-up doors available, we only offer the original and the best SWS SeceuroGlide range. This ensures that we are always providing the best quality and value whilst also maintaining a level of aftersales support that will leave you confident that we can service the door for many years ahead.